The Wake-Up Call Show: Stop the Compare and Despair Game! In the room we we’re talking all about the toxin of comparison. So I have a question for you…. Do you ever compare yourself to the people around you? You know what I mean… do you look at other women and judge yourself for not being as much, as accomplished, as thin, as “fill in the blank?” Do you wonder why you aren’t “farther along?” Feel less than fabulous about all you’ve done when you look at what others have accomplished? That’s why today, in the name of erasing Big Fat Lies from your mind, heart and soul, I am sending you one of my best super-powered tips for giving up comparison for good! But first, I wanted to make sure you to invite you to the upcoming webinars I’m hosting with my partner in inspiration, Christine Arylo, bestselling self-love author of Madly In Love with Me and Choosing ME before WE and co-founder of the Inner Mean Girl Reform School – dedicated to helping YOU give up comparison and all negative self-talk for good. 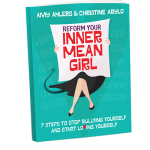 GO HERE NOW to register for one of our FREE Inner Mean Girl Reform School Open House webinars: Stop Being So Hard on Yourself: 3 secrets to Transforming that Self Sabotaging Critic in your Head to a Self Empowering Ally instead! 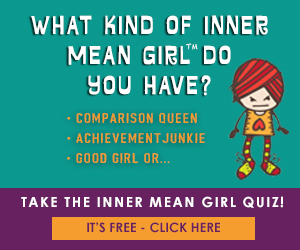 I SO LOOK FORWARD TO KICKING YOUR INNER MEAN GIRL OUT OF YOUR LIFE! And now, drum roll please… the moment you’ve been waiting for! Job Description: Using big measuring sticks, she compares you to others. In her twisted mind, she’s making sure you’re always working harder and not falling behind. While “protecting” you from being vulnerable, she’s REALLY keeping you from the love and connection you crave. Talents: Jealousy, judgment, turning a friend’s great news into a reason to feel bad about yourself; measuring you against people who have accomplished amazing feats or who are doing what you really want to do but haven’t done yet; making your good news seem like it’s not enough. Judging others as less than who seem “behind” you in some way to boost your ego. Her Worst Adversary: Your INNER WISDOM. 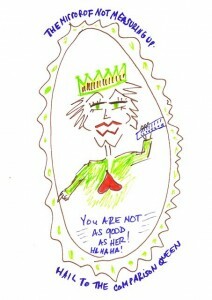 Your Inner Wisdom knows: The Comparison Queen is afraid of: risks, progress, rejection, and your GREATNESS. She costs you: awesome opportunities, deep connections, partnerships and mentoring, and celebrating others’ greatness. She can be transformed into: your personal “Talent Scout.” Use her to discover the extraordinary beauty and brilliance in others, and instead of comparing yourself to others, connect with them. Without your Comparison Queen’s Big Fat Lies, you’ll gain: deep connections, happiness and inspiration from others’ success and – you’ll open yourself up to meet really COOL people! On our Open House, “Stop Being So Hard on Yourself: 3 secrets to Transforming that Self Sabotaging Critic in your Head to a Self Empowering Ally instead!” we are going deep into how to rid yourself of comparison and all it’s nasty side effects … so make sure to join us. 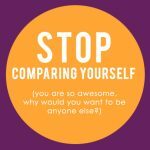 The next time you start comparing yourself to someone else … STOP! And appreciate them instead! 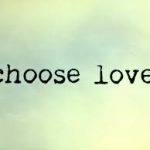 Turn the channel in your head to the Love Channel, and find something you appreciate about this person, or something about them that inspires you. It’s time to burn up all the negative self-talk and Big Fat Lies for good… time to have fun, be spontaneous, and experience the magic of being your own best friend, cuz you know, a b.f.f. would never compare you to someone else. 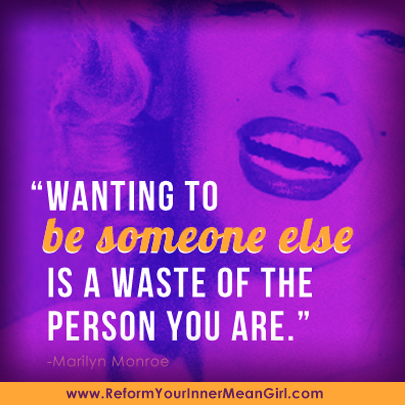 She’d love you for exactly who you are! P.S. 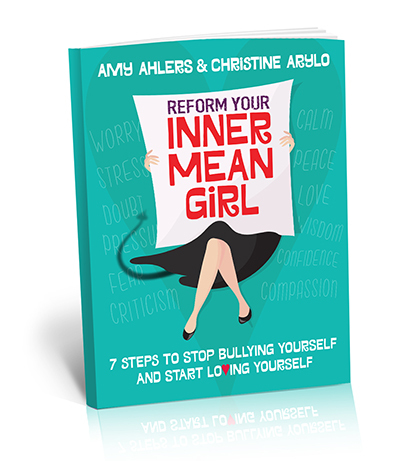 Remember, get your seat at our free Inner Mean Girl Reform School Open House webinar: Stop Being So Hard on Yourself: 3 secrets to Transforming that Self Sabotaging Critic in your Head to a Self Empowering Ally instead! I’ll be sharing about my personal comparison queen and the Big Fat Lies that I beat myself up with. And then walk you step by step through 3 secrets to turning into your truth. I hope you’ll tune in to one or all of these calls! GO HERE NOW to get registered for an Open House that works for you! We even made a video invitation just for you! 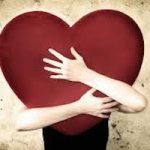 Please leave me a comment below about how the self-love antidote worked for YOU! Are You an Achievement Junkie? Why It’s so Hard to Stop Working so Hard. This is a special invitation for parents, teachers, guardians, grandparents, aunts, uncles, godparents, big sisters and brothers – any one who would like to know more about how you can guide your children to successfully navigate today's world with all its chaos and pressures. During this free class, we'll share proven self-love tools and practices with you so you can, in turn, share them with your children. Admission is free and we'll send you the recording if you can't attend on April 16th.